Get this USpicy Hair Straightening Brush for just $14.99 when you use promo code N55NKVCR at checkout. I also clipped the 30% off coupon before applying the coupon code but I don't believe that you have to. 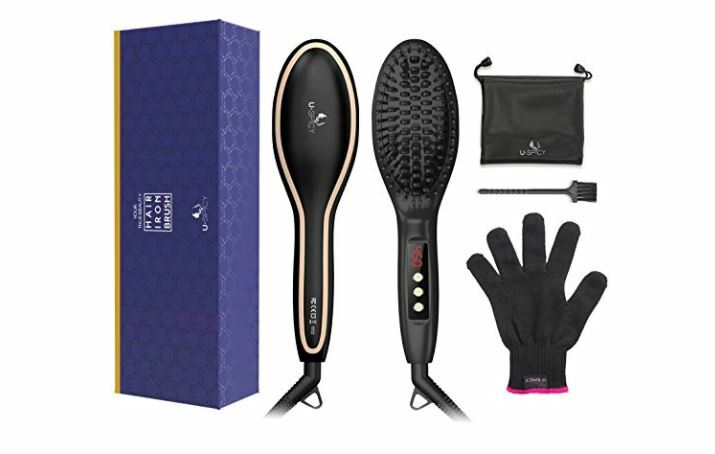 This hair straightening brush features ceramic plates that heat up to 450°F to soften and straighten hair while you brush. It also has several safety features including an auto-shut off timer, an auto button lock and heat insulation tips to prevent burning. This brush comes with a heat resistant glove to make sure your hand is safe as well while you brush your hair.